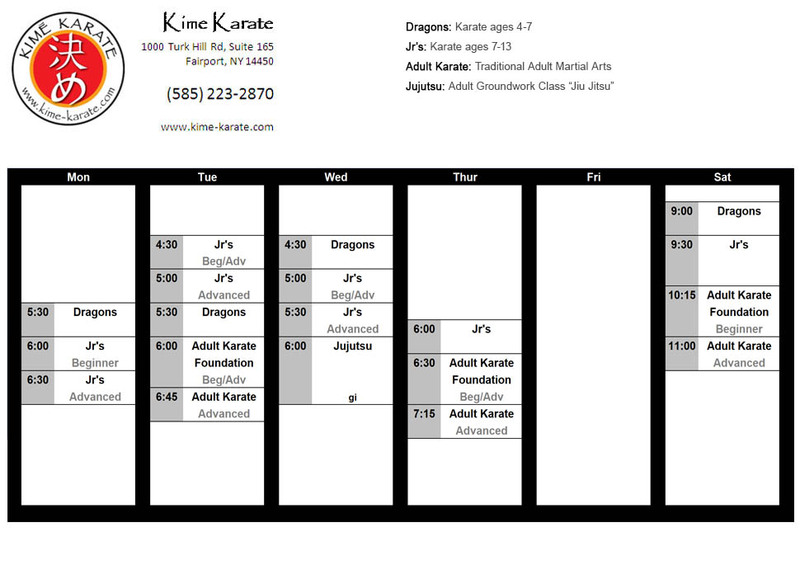 Karate schedule for Kime Karate in Fairport. Get Started With Your First Month! Give us a call at 223-2870!